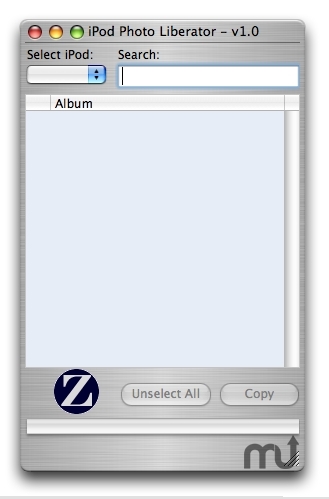 Easily copy photos from iPod to computer. Is there a better alternative to Photo Liberator? Is Photo Liberator really the best app in Author Tools category? Will Photo Liberator work good on macOS 10.13.4? Photo Liberator allows you to easily copy photos from your iPod to your computer, filling a missing feature of iTunes and iPhoto. You see, iTunes and iPhoto only allow for a one-way transfer of photos from your computer to your iPod. However, what if your computer crashes and all of your photos are deleted from your computer? What if you want to download your photos from your iPod to another computer as a backup or to show friends? Your photos are precious because they capture the memories of your life. Save your photos, recover your memories. Version 10.6.0.0.0: Release notes were unavailable when this listing was updated. Photo Liberator needs a rating. Be the first to rate this app and get the discussion started!